Products occasionally contain mistakes, whether with manufacturing defects and design defects, or from a lack of warning labels. There are also instances where customers experience a breach of warranty or even food poisoning. This will make either the manufacturer, wholesaler, or retailer responsible. With an attorney, you can file a liability lawsuit against the one responsible for your injury or food poisoning for compensation. At the law offices of Joseph C. Crudo, PLC, we have extensive experience representing clients in San Diego in product liability cases. Warning Labels – Products are required by law to contain warning labels if the contents are dangerous. For example, on a can of hairspray, the can will give a warning for it being flammable and not to puncture the can. There are explicit instructions for what not to do in order to avoid injury. These are stated on the can so that the company is not liable for consumer’s user errors. Specific warning label guidelines are regulated by The American National Standards Institute. When a consumer uses a product without a warning label and is injured in the process, this can result in a liability. Food Labels – Ingredient lists on foods must list all foods included in the product in order to warn those with food allergies. Consumers who eat a product without knowledge of the ingredients can potentially die if they have a food allergy. Manufacturing Defect – These are defects that occur during the manufacturing of the product. The product is shipped out with the flawed product leaving a consumer injured. Design Defect – This is a defect that occurs during the designing stage of the product, which in result ends up in all of the manufactured products. Food Poisoning – This occurs when a consumer has eaten a product that has made them sick or caused them an injury in one way or another. However; food poisoning claims are hard to make if there is no evidence. Medical Costs – This includes are present and future medical costs due to the product. Lost Wages – Any time you spend off of work because of this product will force you to compromise your income. Pain – The injury you sustained can cause pain and suffering, which can be compensated for. Emotional Distress – Any injury you have sustained can also put a damper on your mental health from the other problems it has caused in your life. 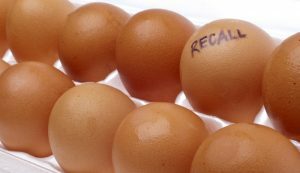 Am I a Candidate for a Product Liability? You suffered an injury from the product. The product was proven to be defective. The product was being used correctly. If the above statements are true, you are a candidate for a product liability. Give our product liability lawyers in San Diego a call at 858-622-7280 for your free consultation to see if you have a solid case. Feel free to fill out our online contact form on our contact us page.